Uttarakhand Congress launched the second leg of its ‘Parivartan Yatra’ from Haldwani (Nainital) on Tuesday. 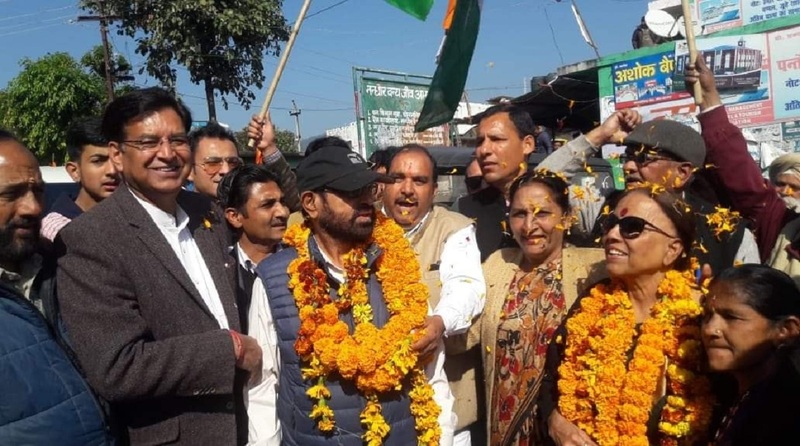 Earlier, Congress had launched the first part of the Yatra from Dehradun but the campaign was suspended from 23 to 25 January due to bad weather as heavy snowfall forced the party to cancel the Yatra from Purola onwards. The Parivartan Yatra will also test the unity of the state Congress. Marred by internal conflicts, the party is divided into Harish Rawat and Pritam Singh groups in the hill state. The Yatra will pass through Sitarganj, Ruderpur, Kashipur, and Jaspur and conclude on 1 February. The first leg of the Yatra kicked off from Hanol in district Dehradun on 21 January.